Everyone likes the sound of going on a “retreat.” It brings up imagery of a relaxed vacation at a spa, and having people waiting on you hand and foot. What about a Diabetes Retreat? What is it and how does it work? There are many different types of Diabetes Retreats. These include Diabetes Camps for children, adults, or even families. Some of these may be paid for by insurance or Medicaid. Also included are luxurious day spas and resorts that offer Diabetes Retreats for a hefty price, likely not covered by insurance. There are also health coaches that plan Diabetes Retreats at expensive all-inclusive resorts. With all of the camps and retreats out there, you should be able to find the right program for you. Where you end up is likely to depend on your finances, and whether or not you want to spend the kind of money it takes to attend a Diabetes Retreat in a resort-type setting. Would you rather have a less expensive, back to nature experience? Should there be medical professionals on site at your retreat? One thing that you will want to look for is a medical component to the retreat. In other words, a licensed medical professional is there to evaluate you during the retreat. They may take blood work, vital signs, height, weight, and body mass index (among other things). They are there to evaluate your physical response to the lower carbohydrate diet you will likely be given, and to assess your body’s response to new exercises. They may also need to adjust your medications during the retreat. For example, if you have been eating a very high carbohydrate diet and attend a retreat where you are eating fewer carbohydrates, you most likely will have decreased insulin needs. The doctor or medical professional at the retreat could then adjust your insulin dosage based on these changes, or recommend medicine changes to your primary care provider. The goal at the retreat will be to adopt some healthy lifestyle habits, and begin to lose weight. At the same time, retreat staff will not want you to have episodes of low blood sugar as a result of increased exercise, less carbohydrate intake, and decreased insulin needs or resistance. This is why having a medical professional at a retreat is so important. You need to be monitored until you stabilize the changes. Knowing that retreats can get expensive, think about why you need to attend a retreat. Is it because you are having trouble getting started making lifestyle changes and need a boost? A retreat may provide the extra push to get you going. Do you have the money to invest in an expensive, all-inclusive retreat? Be aware that some programs can cost up to $11,000 or more. 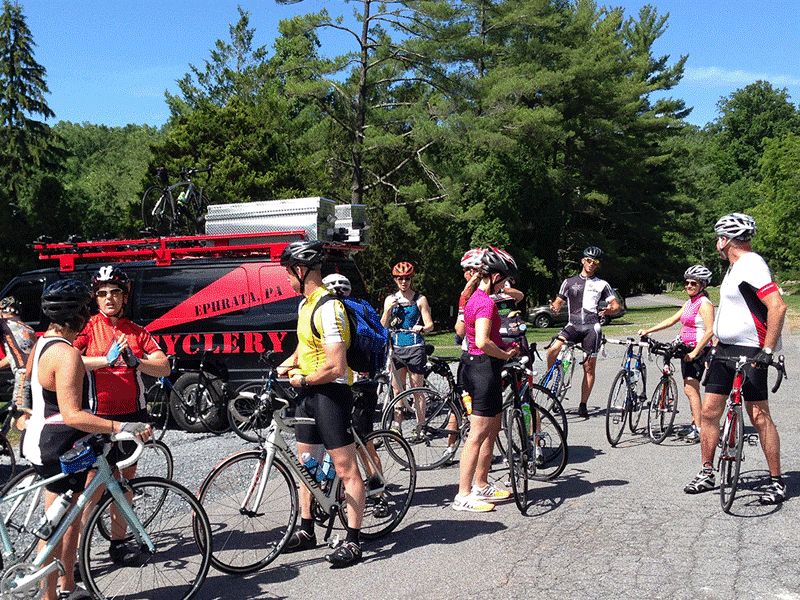 Are you training for a marathon or triathlon and require a high-intensity camp experience? There are some camps that help diabetic athletes train with medical supervision. Are you thinking that a 2-week stint at camp is going to be all that you need? There are some camps that help diabetic athletes train with medical supervision. Are you thinking that a 2-week stint at camp is going to be all that you need? Remember that this is a lifestyle change, and the retreat is meant to get you started. Especially if you invest a great deal of money or invest your time and effort into attending a retreat, you will not want to go back home and resort to old habits. You will want to make a plan to keep you on track when you get home. There are also different types of Diabetes Retreats. Some may be run by entities like the American Diabetes Association, and therefore the standard of care will be in line with the current best medical practices. There are other themed Diabetes Retreats that may be based on thought not based in sound research. It may be advisable to stay away from those. Some retreats may be yoga themed, raw food or plant based themed, or a whole list of other nutritional and exercise combination options. You should ask yourself if you can continue with an all-organic whole or raw food diet upon your return home. It is important to remember that if there is insulin or diabetes medicine on board, there should be some carbohydrates in the diet. Very low carbohydrate diets may result in low blood sugar and a metabolic state called “ketosis,” in which the kidneys spill ketones or waste by-products through the urine. This state, if prolonged, can result in kidney damage. Internet searches for Diabetes Retreats are misleading. Though Pritikin Longevity Center and Spa has a webpage up advertising a retreat for Type 2 diabetes, an email to the Center returns disappointing news. The Diabetes Retreats have been cancelled, but they welcome diabetics to attend their other wellness retreats. Obsidian Wellness in Spain is now currently closed, but there are many hits on the internet that make it look like it is an up-and-running retreat center with Diabetes Retreats. Are Diabetes Retreats and Camps a Good Idea or a Bad Idea? 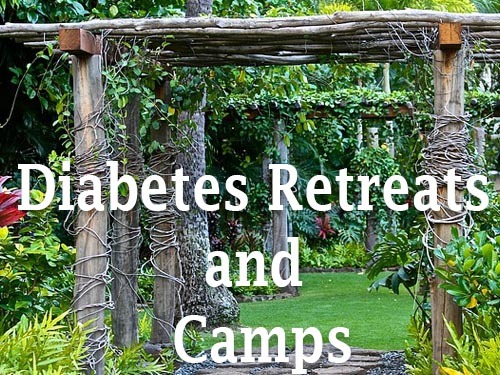 Diabetes Retreats and camps can be a good idea if you pick the right one. Expense is a factor for most people. Some of the resort retreats listed are very expensive, or on par with a luxurious international vacation in an all-inclusive resort. It wouldn’t be a good idea if it puts you in unnecessary debt. Many of the camps have a very rustic atmosphere, so you must ask yourself if you like the idea of roughing it for a time. Camps for the athlete may be too much for those that are just getting started with exercise. You should do a great deal of research on the retreat or camp that you pick. Have a conversation with your doctor or primary care provider about whether or not the activities and diets that are being utilized are based in sound research, and are not just a promises of a pie-in-the-sky cure-all. Talk or email with the retreat or camp medical staff to make sure you are prepared and know what to expect. Beware of programs using a 2 week to 30 day juice fast, and claiming to detox and cure diabetes. This is not realistic, nor based in sound medicine and research. It may be possible to reverse Type 2 diabetes in the early phases before too much beta cell destruction is done1, which normally means to take the type 2 diabetic to a pre-diabetes level A1C. In this way, they are living healthy with diabetes, and avoiding complications. Losing just 5% of visceral fat from around the pancreas has been shown to reverse type 2 diabetes in a research study done in the United Kingdom2. This should be a primary goal. However, if lifestyle changes are abandoned, the patient will go right back in the other direction and be back in a type 2 diabetes range. Therefore, be wary of programs promising to cure your diabetes. Some websites claim to cure Type 1 diabetes with a fasting and cleansing regimen over 30 days. There is currently no cure for Type 1 diabetes, so make sure not to fall for scams designed to make money with empty promises and methods that could be detrimental. Many of these experimental Diabetes Retreats exist in the US and Canada. The following reviews are of 2 retreats that, although they have some possibly controversial treatments, their concept is for the most part consistent with current medical thought on diabetes management of healthy and consistently sustainable lifestyle changes through diet and activity. If you are a bit adventurous and wealthy, you could jet off to The Beach House in Goa, India. The wellness program for Type 2 diabetes offers help with nutrition lifestyle changes, many recreational activities, including emphasis on yoga and holistic principles of Ayurveda, which was developed thousands of years ago in India. It includes private consultation with a health coach to determine personal goals and needs. They do a review of your lab work, and a medical and nutritional assessment, and a “3 Chakras” assessment. There are 7 Chakras, considered to be the center of the human spirit in Indian thought. At The Beach House, the 3 Chakras that are emphasized are physical, physiological, and psychological. They also provide a hypnotism session (some practices may be controversial). They perform a full body analysis of the client, including BMI and body fat measurements. They do give you Ayurveda natural supplements, a vegetarian meal, a diabetic tea, and various other treatments that you may not have heard of. Make sure to look over their website carefully, ask questions and talk with your primary care provider about any and all treatments and therapies offered to make sure that they are right for you. This resort also includes airport pick up and drop off, is all inclusive, and not covered by insurance. The resort also offers a program for pre-diabetes. It is pricey, but around the same as other all-inclusive resort prices. Remember it does not include airfare nor required travel immunizations or travel documents, such as passports.. There are programs that are 5 days, 7 days, 10 days, or 14 days. Prices start at $1142 and go up to $2750 for 5 to 14 nights, but you can customize stays from 3 to 21 nights. At present, they have space for the Diabetes Retreat on August 8, 2016. Space is limited, so sign up soon if you are interested. 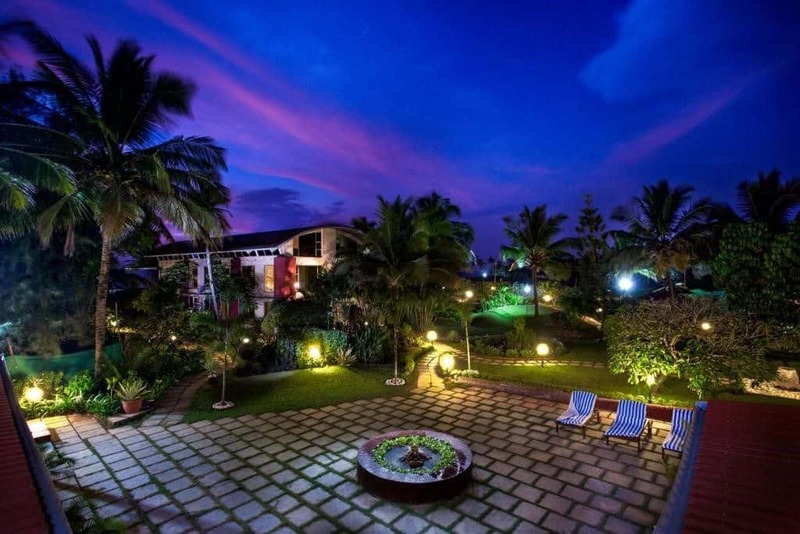 To visit The Beach House in Goa website, click here. LHR retreats based in Bangkok, Thailand are run by health coaches with a medical team and team of wellness professionals that are held in different resorts. The Diabetes Retreat focuses on diet and activity to reverse or control Type 2 diabetes. You will learn about inflammation in the body, and learn how to not only manage your A1C, but how to eat to control inflammation in the body. You will learn about glycemic index and how the foods you eat may affect your blood sugars. You will work on planning for continued lifestyle changes after the retreat is over. You will need travel insurance, and the retreat cost will be paid out of pocket, as insurance will not cover it. LHR offers continued online coaching when you return home. Their website doesn’t give prices, or retreat locations and details, but a quick inquiry via email reveals that they offer retreats in Asia, Thailand, Vietnam, Maldives, Cambodia and United Arab Emirates. To visit LHR Lifestyle Health Retreats website, click here. Diabetes Camps of all kinds exist all over the world. In the US and Canada, many of the most popular camps are run by diabetes organizations. There is sometimes scholarship funding to help make camp affordable for all. Fees are generally going to be less at a camp than at a luxury retreat. Insurance may cover some or all of camp costs. Your accommodations may be less likely to be 5 star, and more likely to be in a rustic cabin. Many people with diabetes find it helpful to attend a camp where they meet others with the same chronic disease, and similar issues when dealing with the day-to-day management. There is time to bond with others in group settings and activities, and campfire-filled nights. The American Diabetes Association holds camps for children, teens, adults and families all over the United States. For the link to the camp section to search for a camp, click here. The Canadian Diabetes Association holds “D-Camps” all over Canada. They provide day camps, summer camps and family camps for diabetes. For a link to search for camps in Canada, click here for the D-Camp website. In addition, the Juvenile Diabetes Research Foundation holds camps for Type 1 diabetics. Click here for the link to search by camp name, state, or zip code. The Diabetes Education and Camping Association has a link to find a camp by camp name, country, city, state and zip code. It is a worldwide diabetes camping community and is home to information for over 400 camps around the world. To search for a camp, click here. Children with Diabetes has an extremely comprehensive list of diabetes camps for children. Click here to go to the list. 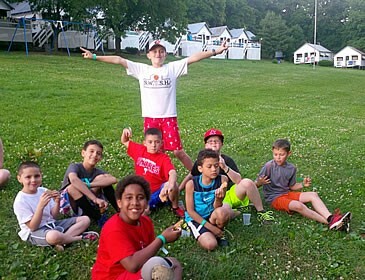 The Diabetes Youth Foundation offers scholarships at their Bearskin Meadows Camp, Camp de los Ninos, and at their spring, summer and fall education retreats based on financial need. You can view their scholarship guidelines here. For a link to program dates and pricing, and an online brochure, click here. These programs are affiliated with the Lion’s Club Lion’s Camp. DYF is just one example of a Lion’s Camps. Many states have their own Lion’s Camps for Diabetes, and they can be found by searching the internet for Lion’s Camps for Diabetes in your state. American Diabetes Camps mentioned in the bulleted list above, offer children the experience of a traditional camp with swimming, canoeing, hiking, etc. The camps offer financial assistance so that all children with diabetes have a chance to attend. Many children feel isolated because of their diabetes, and getting away to a camp where they meet other children with diabetes, learn to manage their diabetes with more confidence, and receive medical care can be helpful. Parents will be more secure in sending their children to a camp that is stocked with highly trained medical professionals specializing in working with children with diabetes. See the bulleted list above for the website link. D-Camps, also listed above, offer camps for children, teens and families of Type 1 diabetics. 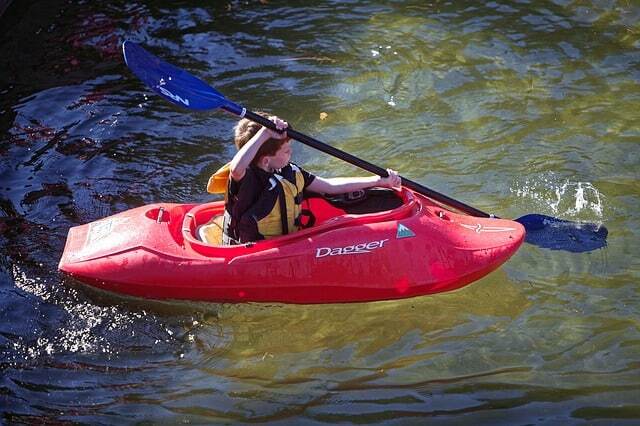 There are 12 children’s summer camps in different locations in Canada. They provide 10 different family camp locations. There are also 13 different children’s day camps. During Family camps a child’s mother, father, brothers and sisters, and even grandparents and other caregivers can attend, and this helps to promote a family sense of community by living for a time in a community that understands diabetes and its management. Youth, adult and family activities are planned. Parents provide all supervision for their child, except during children only camp activities. Nurses and medical personnel are on staff to assist if needed. The website lists no scholarship opportunities, but the camp is affordable at $120 to $230. See bulleted list above for the website link. The camp offers coaches in general fitness, yoga, cycling, swimming, running and walking programs. The team of wellness specialists includes mental skills experts, an exercise physiologist, registered dieticians, clinicians and certified diabetes educators. Campers and staff are on site for a week. Dr. Matt Corcoran runs the camp. He is an adult endocrinologist, and also a CDE and certified exercise specialist. The camp is held annually in Lancaster, PA. The August 2016 camp will be held at Spooky Nook, a large indoor facility. This is the first time that camp has been held at Spooky Nook. With a full team and medical supervision, the program is suitable for type 1 and type 2 athletes, or anyone with diabetes. They use a team building and bonding approach to diabetes management, offering a bonding experience with other diabetics. Camp registration costs for 1 week are around $1975-$2,275. The 2016 scholarships have been exhausted, but there are scholarships available for 2017 for those campers who may have a need for financial aid. Single room accommodation is $325 this August 2016 only, and a comprehensive bike fitting (Note: They do not recommend a bike fitting, though they do offer it as a service. They only have 4 bike fittings available pre camp, so obviously not everyone can get one.) recommended for bikers of all fitness levels is $100. The camp can be expensive when no scholarships are available, so budget accordingly. Optional single-room accommodation is available depending upon location for $175-$325 this August 2016 only. Campers do NOT need to have a physical examine before they come to camp. Click here for the Diabetes Training Camp website. In summary, diabetes camps and retreats are a great way to meet other diabetics, and learn new self-management techniques. They can kick start your exercise and activity plan, help you to set goals for the future, teach you about new healthy foods to eat, and even how to cook them! They can provide a luxury vacation with a purpose, or a back-to-nature, fun-filled escape that ends up putting you in charge of your diabetes, not the other way around. So get out there this summer and experience what retreats and camps for diabetes have to offer. Why not take your whole family, and get everyone on board with group family activities and healthy eating? Remember to do your homework, check for hidden costs, ask your doctor, and ask around. Diabetes camps and retreats await. Happy trails! Can young children or teens with diabetes attend retreats or are there different ones for them? Retreats are for adults, but children and teens with diabetes can attend special camps. See the section above on camps for children and teens with diabetes. Are spa retreats the same? No, spa retreats are more for relaxation, and are not specifically designed to work with diabetics. How long are these retreats? Retreats can be as little as 3-5 days, and up to about 30 days, depending on the particular program. Camps generally run 1 to 2 weeks. How will it all be insured? Will my insurance cover it for me, or will I have to pay it out of my pocket? Retreats are out-of-pocket, as insurance will not cover them. Camps may have scholarships. Some state camps for children take Medicaid. For retreats, you will pay. For camps you may get some scholarships. A child may have Medicaid coverage for Diabetes Camp. I enjoyed the information you wrote about in regard to diabetes venues. I wrote LHR to inquire about some of their Asia venues. I have generally managed my diabetes but this recent tax season (I’m a CPA) has taken it’s toll. I am normally about 6.2 AIC or lower but have been hitting highs of 7.3 which bother me. I need good instruction and coaching on lifestyle changes so hopefully will find something that will make a difference when I hear back from LHR. Are by chance dealing with this malady? Hello. I am interested in attending an adult type 1 camp/retreat. I’ve been Type 1 for 25+ years and would like to learn better foods to eat, weight management, maybe a massage and/or kayaking, horseback riding, education & discussions. I live in Indiana & don’t mind driving so a location within the state or surrounding states would be best. I noticed cost can be rather expensive. I don’t have that type of income. Hoping there may be some more economical choices. Thank you in advance for your time.